During any given year, hundreds of millions of different documents, reports, project data, lessons learned, scientific research, and IT logs are created and accessed by NASA’s nationwide research centers and test facilities. Growing in terms of variety, velocity, volume, and value, the data is largely unstructured and difficult to locate and share among the government agency’s many different departments. Limited visibility of organization-wide data is an ongoing hurdle for NASA, which runs multiple research centers, test facilities, flight centers and institutes in the US. “We are losing vast amounts of critical data,” said David Meza, Chief Knowledge Architect at NASA Johnson Space Center. In many cases, this data loss pushed engineers to use Google as a primary research tool – a fallback that leads to even deeper challenges for the government agency. “Like many other search engines, Google parses out keywords and phrases. If a page isn’t ranked high, Google won’t even return it as a result,” Meza explained. “We needed a better way.” To improve identification and prioritization of its data across various repositories, uses, and interactions, NASA reviewed an array of technologies and solutions on the market including semantic search, faceted search, computational and cognitive systems, natural language queries and more to get a good understanding of how NASA data worked with those different search methods. 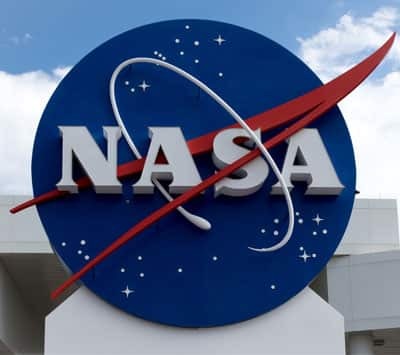 In the end, NASA turned to IHS Goldfire, the platform for technical knowledge discovery and problem solving, as it best met NASA’s requirements for semantic search, clustering of topics, faceting, the ability to save searches, and the ability to create automated alerts around save queries. In addition, IHS Goldfire gave NASA engineers and researchers the ability to search specific repositories. This was critical because up to 80% of the time NASA personnel knew where information resided, but it was hidden within millions of documents and thus not readily available to them. The platform proved its value almost immediately when an Orion Crew and Service engineer used it to research the Apollo program’s upright landing system. Active from 1963 to 1972, the program experienced a design failure that today’s Orion program could learn from. In the past, a librarian would spend an entire day researching the Johnson Space Center (JSC) History Index and Archive Search Index databases for the documents – plus hundreds of JSC oral histories and scanned historical documents dozens of pages each – in hopes of finding relevant information. Engineers don’t reuse information because it’s difficult for them to find it. If they could find it in a couple hours instead of a couple of weeks they would. Otherwise they are going to have to recreate it themselves. Using IHS Goldfire’s advanced search tool, NASA indexed 62GB (representing over 1.2 million pages) of historical documents and websites, thus enabling a full-text search across all of the information. The platform also analyzed the results for relevance (i.e., proximity in the document and context). By clicking a link, users can read a summary, view a list of similar documents, and/or access the document immediately. The Orion engineer spent three hours using IHS Goldfire to run some of the same searches that were previously completed on the indexed documents with the Windows search option. For example, after a single search using just one search term, IHS Goldfire returned more than 200 contextually-relevant documents – some of these dated back to more than 40 years. Using IHS Goldfire, the Orion engineer immediately found hundreds of contextually-relevant results on the Apollo program and nine of these results are now being reviewed for their contribution to savings and improvements to the Orion program. By empowering informed decision-making and leveraging lessons of the past, IHS Goldfire has helped minimize waste, rework, reinvention, and redundancy at one of the world’s largest government agencies.